In 2018, the Business Record launched a new weekly innovation e-newsletter to provide a consistent drumbeat of tech and innovation coverage all year-round. The e-newsletter is free and comes straight to your inbox every Thursday. 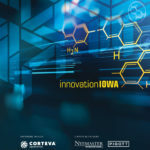 Fill out the registration information below, and simply select innovationIOWA from the list of e-newsletter options.